"People haven't looked for bonefish in low-salinity environments because they think they're a marine species," said Rehage, a researcher in FIU's Institute of Water and Environment. "This finding tells us the link between bonefish, freshwater and the Everglades is stronger than we previously thought. 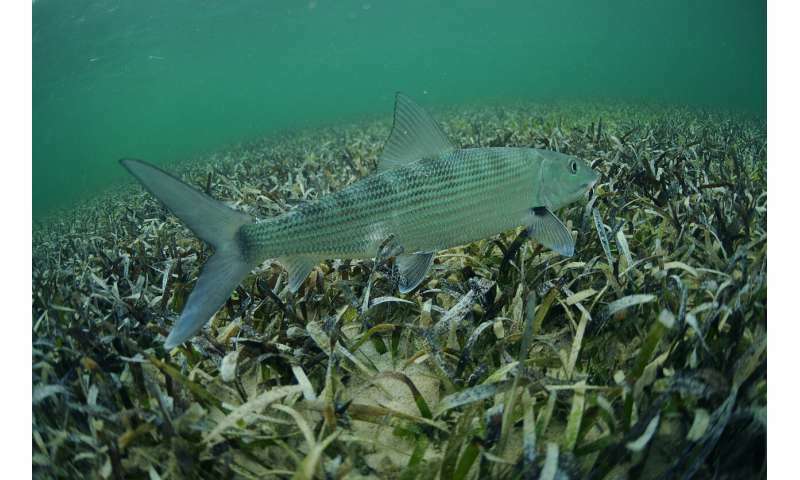 We need to consider low-salinity habitats in bonefish conservation and management." "It's fantastic to see the amount of new research on flats fishes and habitats in the past five years," said Aaron Adams, director of science and conservation at the Bonefish & Tarpon Trust. "This advancement is made possible by the collaborative effort between Bonefish & Tarpon Trust, FIU, and the many other scientific partners. Since the fishery is economically important and these species use many coastal habitats, this new science is also proving to be important for broad-scale conservation efforts."